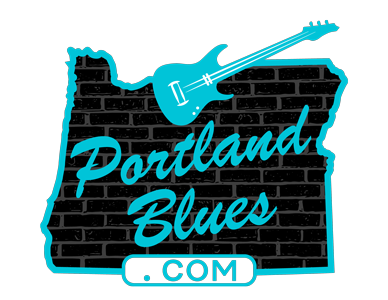 If you look at the BluesNotes calendar for March you’ll easily see why Portland is in love with the blues. So many local heroes and a plethora of national touring artists coming through the city this month. The Cascade Blues Association is always proud to get things moving in the right direction each month with our monthly general membership meeting, offering two sets of music acts that you will definitely want to catch. This month we’re presenting two that should surely raise the roof with excitement. Opening the evening will be an acoustic set from a fairly newcomer to the Portland area, but someone who has certainly raised the bar for all since relocating here. Mark Shark was born in St. Louis Missouri some years back and after spending 35 years in LA carving out a musical career performing with many renowned artists (Bonnie Raitt, Jackson Browne, John Trudell and many others) he has transplanted himself and his talents to the beautiful City of Roses, Portland Oregon. Warmly welcomed into the thriving music scene here Mark has been privileged to play and record with Northwest Legends Lloyd “Have Mercy” Jones, David Kahl, Joe McCarthy, Brian Foxworth, Steve Kerin, Louis Pain, Ed Neumann, Jimi Bott, Ken Scandlyn, Jesse Samsel, Dean Mueller and Julie Amici, Karen Lovely, Ben Rice, Mitch Kashmar, Carlton Jackson, Ian and Chris Miller, and Jake Ray. 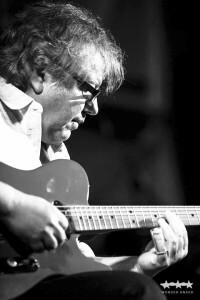 A multi-instrumentalist, Mark is a master at many strings instruments along with the guitar, including mandolin, banjo, ukulele, lap and pedal steel guitars and more. In addition to composing, playing and recording, Mark is also a busy author (Hal Leonard) and educator. He is currently teaching at Portland Music Company at Beaverton, Division and soon the Broadway location as well. For the second set of the night we will have the Cascade Blues Association’s 2016 International Blues Challenge representatives Sister Mercy. This band possesses a high energy, blues driven sound. Lead singer April Brown is mesmerizing with her powerful, beautiful presence, full range vocals and complete joy in performance. The band is filled with talented musicians that have a strong background in Portland’s scene. Steven Savoie creates memorable licks on guitar and Roger Espinor (drums) Ron Camacho (bass) and Debby Espinor (keyboards) hold the rhythms down tight. The band were semi-finalists at the IBC in Memphis and received a nomination for best new band at the 2015 Muddy Awards. This dynamic performing band, Sister Mercy presents original music that is a pleasure for the ears and a show that is a feast for the eyes. And if the musical sets are not enough, remember that you will also have the chance to win CDs and tickets to events just by attending. Make sure that you received your free drawing ticket at the door. We’ll also have our multi-disc winner take all drawing for only a $1.00 per ticket chance. Buy as many tickets as you’d like, your purchase goes right back into allowing the CBA to bring you events and our paper. See you at The Melody Ballroom for another great night of music and friends!